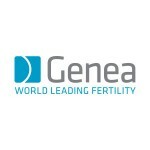 has 28 years of experience as provider for infertility, IVF and other assisted conception treatments. At City Feet we are known for our effective treatments for blisters having been a podiatrist for OXFAM, 6ft Track and Ironman for many years we have managed to create quick treatments of blisters. Beauty and Health Care Clinic in Lakemba, Sydney provide breast implants (also known as breast enlargement or augmentation) as well as rhinoplasty and many other cosmetic surgeries. Sydney Medical Service - 1300 HOME GP - is a not for profit Co-operative that provides Bulk Billed home visits to patients in need of medical care during the after hour period. Hyde Park Medical Centre - Open 7 days family doctor,Bulk Billing,Travel Clinic Corporate Flu Vaccine,Skin Cancer Clinic. The CBD Skin Cancer Clinic is a new clinic located in Sydney's CBD. Our focus is on using the highest standards of care to diagnose and treat all forms of skin cancer. Our doctors are highly trained and have a great deal of expertise in this field. Food and Nutrition Australia - An Accredited team of Dietitians servicing the Sydney Metropolitan area.Our Sydney based nutrition clinic has a range of programs and services developed by Accredited Practising Dietitians and Nutritionists.Open 6 days week. Dr. Walid Mohabbat is a vascular surgeon specializes in vascular and endovascular surgery. Navigate to know more on his specialties, biographical sketch, education, training, research interests and professional membership info. Dr Rob King (BMed MSc FRACGP), Specialist in men's health, sexual health, allergies and digestion. If you own a business in Sydney and would like to have your business listed here then add your business to the guide. You can get a Classic Listing where you will be able to feature your business including a photo, opening hours, specials and more in our Sydney Doctors directory. Why Choose Our Dental Practices? Capped fee dentistry, full range of dental services, DM Aligners for straight white teeth, $59 a week dental plans. AUSTRALIA Psychic Phone Readings 1900 9 52515 and 1800 525155. A FAST, TRULY ACCURATE PSYCHIC MEDIUM, and CLAIRVOYANT! Debs is a specialist psychic energy reader which makes the readings are much more defined, detailed, accurate and concentrated. Perfectly located in the heart of Sydney, Veriu Central has a modern touch with a mix of old classic world style. Book direct for savings today. See the Doctors main category for all Doctors business listings.